Clinton Surges in Polls: DNC Bounce or Trump Implosion? Hillary Clinton Suddenly Has a Big Lead in the Polls. Is It a Convention Bounce or Voters Giving Up on Trump? Hillary Clinton's doing well in the polls, but we've heard that before, haven't we? 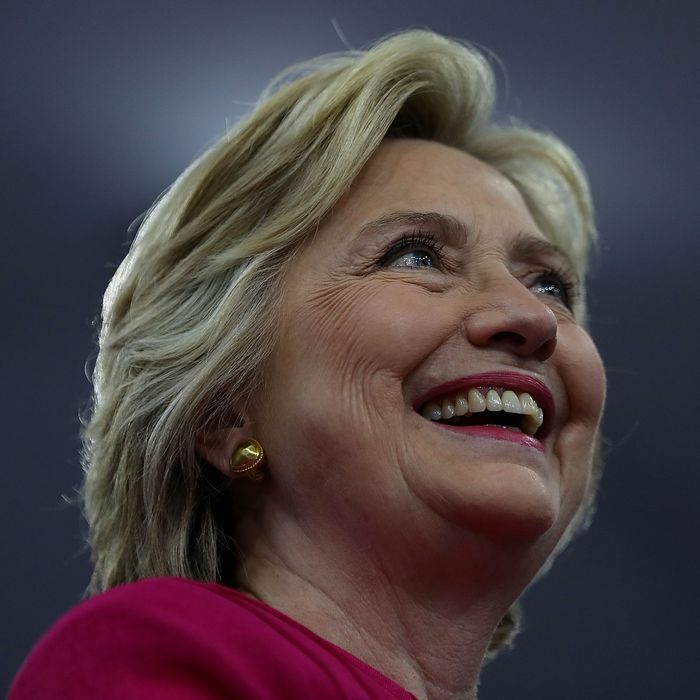 A week after the end of convention season for both parties, it’s clear Hillary Clinton has regained the lead in a variety of national and battleground-state polls. With each new poll, however, it’s getting harder to determine if Americans are reacting to the conventions or to the new firestorm of controversies Donald Trump has ignited, particularly with his weird and sustained attacks on the Gold Star Khan family and on Republican leaders who are defending the Khans. So it’s not entirely clear if what we are seeing now is a normal convention “bounce” for Clinton that is likely to fade in the weeks just ahead, making this the close race it seemed to be just a week ago, or instead the resumption of an underlying Clinton lead that could swell to near-landslide proportions if Trump continues to struggle with himself. Most of these polls show what you would expect in a post-convention “bounce”: a stronger consolidation of Democratic voters behind Clinton, an improvement in her favorability ratings, and better performance among independents. There are a few startling findings, however. The Fox News poll shows Clinton leading by eight points among voters over the age of 55, and 11 points among voters over 65. If this is even vaguely accurate, it would indicate a backlash against Trump from change-averse older voters who have been pretty strongly trending Republican in recent years. Similarly, the CNN poll shows Clinton up 53-40 among white college graduates, a demographic group that Mitt Romney won easily in 2012. More consistently, most polls are indicating a slight improvement in Clinton’s reputation for being “honest and trustworthy” accompanied by a deterioration of Trump’s standing on the same metric, making them virtually even in that respect. Aside from the new national polls, a new batch of battleground-state polls have just come out, with mostly good news for Clinton and bad news for Trump. A Franklin & Marshall poll of Pennsylvania showed Clinton up 49-38 among likely voters. A WBUR/MassINC poll of New Hampshire showed her up 51-37, after an early-July survey of the Granite State by the same pollster had the race virtually tied. A Detroit News/WDIV poll of Michigan with Gary Johnson and Jill Stein showed Clinton leading by nine points and Trump drawing only 32 percent support. And in Florida, arguably a must-win state for Trump, a new Suffolk poll shows Clinton up 48/42. The only bright spot for Trump was a SUSA poll of North Carolina sponsored by the conservative Civitas think tank, giving the mogul a four-point lead. Taking all of these polls into account, FiveThirtyEight’s polls-only forecast of presidential-election probabilities now rates Clinton’s odds of victory at 73 percent; it was actually below 50 percent just after the Republican convention. We’ll know a lot more in a week or two, though if Trump continues to dominate news cycles with self-destructive conduct, he may need the distraction of the Olympics to protect himself from himself.